© United States Yacht Shows, Inc. The Bay Bridge Boat Show kicks off the boating season each spring with a display of hundreds of new and late model brokerage boats and boat equipment displays. Attendees will learn about affordable, green small boats such as kayaks, canoes, inflatables, and day sailors. Introduction to boating seminars will be held several times each day providing answers on how to transcend into the sport of boating. The Bay Bridge Boat Show is conveniently located at the eastern end of the Chesapeake Bay Bridge on Kent Island, Maryland. This year's event will feature more than 400 boats, along with more than 100 exhibitor booths, food court, and a children’s area. Barbecue Bash with live entertainment by the popular rock band, A Classic Case. Fly Fishing & Casting Lessons - See a demonstration of fly fishing techniques and learn how to cast a spinning rod, and the value of custom-built rods. Stand Up Paddleboard Demonstrations - Watch Capital SUP perform daily dockside demos and learn more about night paddling with LED lights illuminating the water from underneath. See an impressive selection of new fishing boats, the latest center consoles, and affordable brokerage boats for immediate sale. Tackle shop discounts include fishing gear and accessories. Wooden classics, vintage race boats, and other antique boats will be displayed by Chesapeake Antique Classic Boat Society. A new venue featuring motorhomes and campers has been added this year. Six free boating seminars and fishing, casting and rod building lessons are offered daily. The Bay Bridge Boat Show is produced annually by Annapolis Boat Shows, a premier event management company that has presented grand in-water boat shows since 1970. Close to 130,000 people from around the world travel to the Chesapeake Bay each year to experience these nautical extravaganzas. The company also produces the Annapolis Spring Sailboat Show in April, and the Annapolis Sailboat and Powerboat Shows in October. 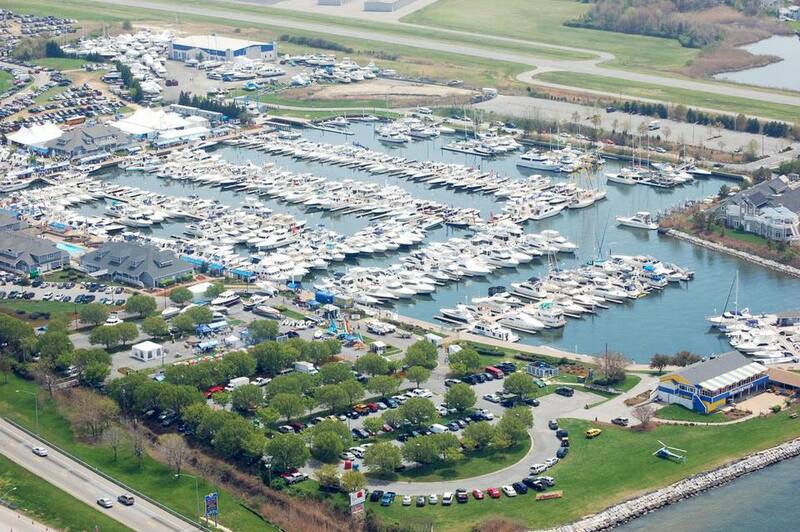 Read more about the Annapolis Boat Shows.